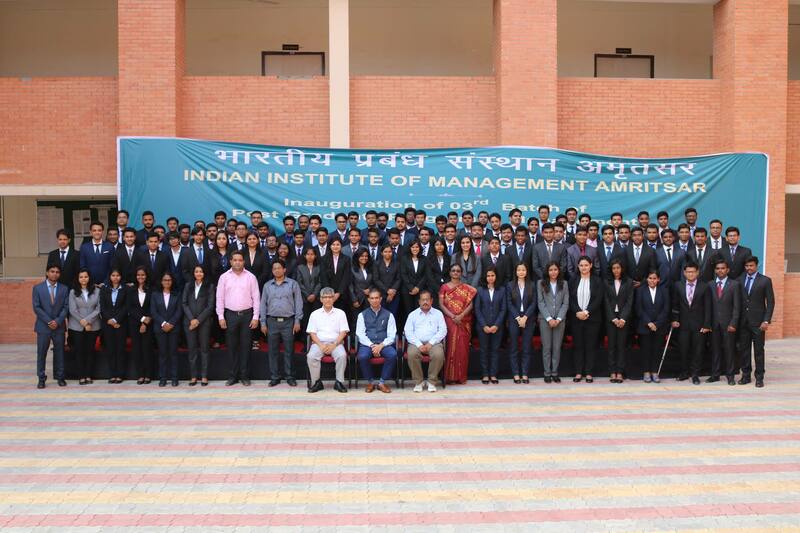 Placement Committee of IIM Amritsar successfully organized a guest lecture on October 10, 2018. The industry leader invited to address the students was Mr. Vikas Khokha, Director-Human Resources at Zimmer Biomet India. Mr. Vikas delivered an insightful lecture on “Developing Business Sense for Human Resources Managers”.The session witnessed an enthusiastic participation from both the batches- PGP03 and PGP04. In his illustrious career spanning over 19 years, Mr. Vikas has worked in key positions across different industries. Mr. Vikas worked with Bharti Airtel Limited for almost 13 years before moving to Zimmer Biomet India. Mr. Vikas began his stint in the management world with Marketing and then Sales, before taking the decision of transitioning to Human Resources. This was a conscious move and with a return route devised in case of contingencies. Mr. Vikas began the session with the introduction to the operations of Zimmer Biomet where it is a market leader in Implantable and Internal Prosthetics. Megatrends in Medical Market were identified and urbanization was deemed as the leading proponent of boom in the medical market. The current state of Healthcare in India was discussed. A dedicated emphasis was laid on the 4 A’s of Medical Devices- Affordability, Awareness, Availability and Accessibility. Zimmer Biomet India is expected to register an organic growth of 15% and above and their vision is to become a market leader in musculoskeletal space with a CAGR of 21.2% by 2022. Mr. Vikas kept the session open to interaction with students throughout his stay and entertained questions at regular intervals. He caught the attention of the students by answering the crucial question- Why is there a need for Business Acumen amongst HR and People leaders? He further asserted that the common misnomer among the students is that the employees are the customers to HRs whereas the channels that bring monetary gains crucial to the operation of the organization actually serve as the customers. A few questions were answered on HR business philosophy that constitute Human Capital such as- Is the HR for Business Growth? Are Technical Workshops and Training for HR also? Does HR exhibit Market Intelligence? Further, the key business components that serve as the knowledge bank for HR and People Leaders were discussed. What are the objectives of an effective HR?This all-important question was answered through opinions seeking from the students. The first-year students were introduced to the importance of Key Performance Indicators for HR and how Revenue per Employee and Revenue per unit Labor and Capital are the crucial parameters for these measurements. Proactive Strategic Inputs to business were discussed in detail and this section attracted numerous questions from the students that were ably answered by our esteemed Guest Lecturer. The presentation was concluded by addressing the ways by which HR can be closer to business. To give a taste of the real-life industry problems, much to the delight of the students of IIM Amritsar, Mr. Vikas discussed a live case-let on Segway Informatics Limited. The case study had four questions posed by the CEO which were supposed to be answered as the head HR of the company. The audience was divided into four groups, each administered a question to tackle. The students came up with interesting solutions and Mr. Vikas provided a direction by facilitating the case study in a professional manner before concluding the highly interactive session on a high note.